WASHINGTON, D.C.—February 05, 2019—The Plastics Industry Association (PLASTICS) today announced Edmond Irizarry, executive director of packaging development for Aveda as the keynote speaker for the 2019 Re|focus Sustainability & Recycling Summit to be held on May 20-22 in Grand Rapids, Michigan. Irizarry will be joined by Denise Coogan of Subaru of America, Inc., Dr. Rob Hoyt of Tethers Unlimited, Inc., Kevin Cronin of Ultra-Poly Corporation and more, bringing the full manufacturing supply chain together to discuss how the industry can advance recycling and sustainability goals for plastics. Following the keynote with Irizarry, a series of rapid presentations will feature disruptive efforts that will advance the collection and use of recycled plastics. This plenary will push attendees to think outside the box and challenge assumptions about the traditional models that need to change to make the circularity of plastics a reality. “The caliber of speakers and range of topics will create a truly unique and meaningful experience for this year’s attendees,” said PLASTICS’ Vice President of Sustainability Kim Holmes. Re|focus will also feature enhanced engagement opportunities that include: a pre-summit Sustainability 101 course, tours of facilities that demonstrate sustainable manufacturing and materials management, the Sustainability Innovation Award ceremony, and a post-reception networking dinner. Re|focus will also offer attendees a marketplace featuring solution providers from leading recycling and sustainability companies to help attendees take their sustainability goals from aspirational to operational. To register and to access detailed descriptions of the session topics and a full agenda, click here. The Plastics Industry Association (PLASTICS), formerly SPI, is the only organization that supports the entire plastics supply chain, representing nearly one million workers in the $432 billion U.S. industry. Since 1937, PLASTICS has been working to make its members and the industry more globally competitive while advancing recycling and sustainability. To learn more about PLASTICS’ education initiatives, industry-leading insights and events, networking opportunities and policy advocacy, and North America’s largest plastics trade show, NPE: The Plastics Show, visit plasticsindustry.org. 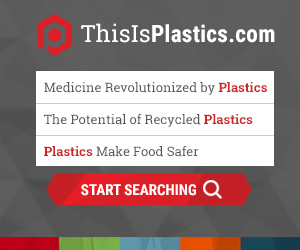 Connect with PLASTICS on Twitter, Facebook and LinkedIn.